After the success of the “Get Breathless for COPD” Cycle in May 2018, A. Menarini Ireland, in association with COPD Support Ireland, is once again calling on cyclists of all abilities to join them on a unique non-competitive one-day cycle ride on the famous Ring of Kerry route. This cycle aims to raise funds, and public awareness, for those suffering from COPD in Ireland. 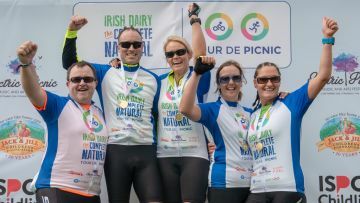 The ‘Get Breathless for COPD’ cycle through the Ring of Kerry route will cover some of Ireland’s most beautiful countryside and will be an event to remember. This is a “full service” cycle and is supported by a professional crew of experienced guides and support vehicles offering mechanical assistance, a range of food, drink and snacks as well as cycling tips and pointers. 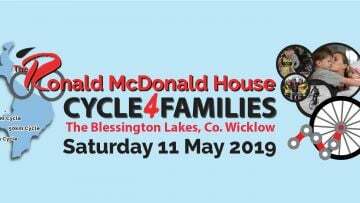 The cycle will take place on 15/6/19 on a 170 KM route. SIGNING UP IS EASY!! Select 1 of 2 Options: No Accommodation on June 14th: €80 registration fee and raise a minimum of €200 for COPD Ireland. Total (€280) With Accommodation on June 14th: €140 registration fee and then raise a minimum of €200 for COPD Ireland. Total (€340) All participants will receive: • Premium “Get Breathless for COPD” jersey • Professional cycle guides on bikes at 1:10 ratio (guides to participants) • Support vehicles with professional mechanics and first AID medics • Snacks, lunch, hydration • BBQ, refreshments & entertainment at the finish line • There will be be a shorter 90km route available to those who do not want to complete the entire Ring of Kerry route.